aughter, mother, partner, friend, colleague, philanthropist, activist, life-saver – these are just some of the titles used to describe Maggie Rowley as condolences poured in. For us at the Century City Property Owners’ Association (CCPOA), she was all of that and more. Born on 21 November 1957 in Durban, Maggie spent a year in America as a Rotary scholar before studying towards a BA degree at the University of KwaZulu-Natal. After a period of finance and property reporting at the Cape Times and Cape Argus, Maggie was headhunted by Martin Wragge, the original developer of Century City, in 1997 and that’s where she stayed ever since, moving with the changing of the times and developers, becoming a key role player in the Rabie Property Group, the CCPOA team and the Ratanga Junction Theme Park team, adding immeasurable value wherever she could. Maggie’s hard work, love and dedication in assisting the students and teachers at the Sinenjongo High School in Joe Slovo has helped see the school grow from only 44 matrics with 12 passes in 2006 to 161 matriculants and a nearly 90% pass rate with over 70 university exemptions in 2018. Her support didn’t stop there. Maggie played the role of mother to all the post-matrics that Rabie Property Group supported and who are studying at tertiary institutions. Guiding and advising them, always ready to listen regardless of the issue, she made herself available to the students 24 hours a day. Everyone was important and nothing was too much trouble for her. Maggie, your infectious laugh, zest for life and love for others will be sorely missed, but the memories will live on in our hearts forever. he first quarter of 2019, which has been chock-a-block with community events, has flown by at record speed. These events have included our annual Century City Sports Festival, which is now in its 11th year. There is no doubt it has now matured and reached critical mass, attracting literally thousands of participants over seven sports codes. 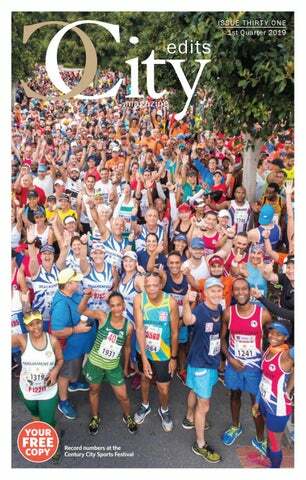 The signature event of the festival remains the 10km Century City Express, sponsored by Discovery Vitality for a second year in a row, which alone attracted almost 4,000 runners, with a further 1,000 participating in the 5km race, in all a 25% improvement on last year. We expect this festival to continue growing from strength to strength and to become a major attraction on the Cape Town events calendar. MEDIA PLATFORMS Century City Media (CCM) oﬀers a niche and unique multimedia marketing platform to businesses and consumers based in and around Century City. abie Property Group’s newest office development, Sable Park, is fully let. Completed towards the end of 2018, this 5-star Green Star development has attracted prime tenants. Discovery occupies the larger of the two buildings – 8,300 square metres, against the other, an inverse, near-repeat design of 8,000 square metres. City station is a mere 10 minutes’ walk away. Designed by dhk Architects to optimise natural lighting, each building has two wings off a central core and a lightfilled quadruple-volume atrium, spanned by a series of bridges at the edge of the main core. Water for ablutions, air conditioning, cooling systems and landscaping is drawn from the Potsdam municipal sewer treatment facility, and is then treated to safe levels. In much the same way as the design of the building, landscaping has played a crucial role in the development of Sable Park, with each building appearing to be embedded in a green platform. A series of terraces on all four sides of both buildings works as outdoor lounges. authentic Eastern experience. Serving Chinese and Japanese dishes, including an array of sushi and other favourites, they trade from 7am to 9pm daily, serving breakfast, lunch and dinner, seven days a week. Walking through to the internal quad on the ground floor, you’ll find NetXactics, an IT software firm, who have settled into their new office space. Their neighbours are Home from Home, who specialise in shortterm residential letting. Costco, a freight company relocating from The Matrix building, will be opening their new office soon, which completes the commercial section of the building. With unparalleled vistas, luxury and convenience that includes a 24-hour concierge in the entrance court, boutique retail and high-end finishes, an apartment in Axis is a great investment. Each apartment has Fibre To The Home providing access to high-speed connectivity. being listed on this register is to provide peace of mind that the Century City SOC has been vetted and conforms to acceptable standards as well as having been properly constructed and supported as described in SAIDSA’s by-laws 1 to 6. Century City is the first institution of its kind to achieve such accreditation. repair equipment, machinery, vehicles, trailers and tools, and be the new home for approximately 70 ground staff. It comprises an L-shaped building incorporating two mezzanine levels, a number of storerooms of various sizes, male and female lockers, a break room, and a doublevolume workshop. Construction is planned to commence by June 2019, with occupation before the end of the year. experience in refined Asian cuisine in the restaurant seating area. The new restaurant will also offer clients the opportunity to purchase some of their selected imported teapots and authentic teas on display throughout the restaurant. The vision is defined in the name of the new restaurant: Akiya – a true lifestyle. Diva Cuisine. Menu requirements and quotes can be obtained by contacting them directly: 087 231 0214, 083 476 6596 or dc@divacuisine.net. Please note: No outside catering allowed. for Grades 10 to 12, and was also appointed as head of the Natural and Life Sciences department, a position she held until she joined the Intaka Island team. Rentia lives in Durbanville with her husband, Christopher, who is a legal officer at the Road Accident Fund. They both love travelling, eating good food and spending time with family. When asked about her new role, she replied: “Working at Intaka Island these past two months has been a unique and interesting experience. Fitting into my new role – managing staff, creating new educational programmes and the general day-to-day activities – has been both challenging and very rewarding. 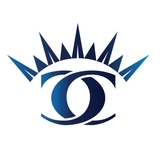 I look forward to growing the current programmes on offer and a long and prosperous relationship with the Intaka Island team.” We wish her all the best and look forward to working with her. ADDITIONAL LOCATIONS FOR FREE WI-FI ROLL-OUT IN CENTURY CITY Following the success of the free Wi-Fi roll-out at The Square in 2017, the service has been expanded to Fives Futbol, Hillsong Church and the MyCiTi Public Transport Interchange. The free service, known as Let’s Connect, is the Wi-Fi arm of Century City Connect, the company that operates Century City’s carrier-neutral ‘last mile’ open-access fibre optic network. Launched in partnership with Comtel Communication (the sponsors) and the CCPOA, Let’s Connect is providing the public with four hours of free, fast uncapped internet access per day. To avoid abuse of the free service, torrent (movie) downloads and adult sites are blocked. According to Century City Connect Director, Hein De Swardt, connecting is dead simple. “A oneoff registration will give you access at all the locations. Users can log in with their details or via a social media account. Once registered, you will receive four hours to enjoy at your leisure, and you can come back every day to enjoy another four hours for free.” Future plans are to roll out the service at various public locations such as North Bank Lane, Intaka Island and Central Park. he jetty has not only been designed and positioned for easy access for those visiting Intaka Island, but also includes a wheelchair-friendly ramp that meets the applicable slope ratio standards. The jetty height takes into account the seasonal canal water levels and provides for easy access into the boats throughout the year. Intaka Island’s tranquil boat rides cruise along the Grand Canal and around Intaka Island, allowing passengers to enjoy the fresh air and breathtaking views, all while our knowledgeable skippers give you an insight into the history of Century City as well as of some of the wildlife and places of interest. departing at 3:30pm. Prices are R65 for adults, R55 for children and include entrance onto Intaka Island. snakes would be released and monitored on Intaka Island. The mole snakes, which are indigenous to the area, are non-venomous and harmless to humans, feed mainly on moles and other rodents, and therefore spend much of their time underground hunting. They can occasionally be seen basking in the sun. The movement of the snakes and their impact on the mole population will be closely monitored with the aim of establishing a sustainable balance between the snakes, moles and the threatened Cape Flats Sand Fynbos found in the ephemeral pans of Intaka Island. They could from time to time swim across the canals and into the neighbouring urban environment. If seen, please contact the Intaka Island Eco-Centre (021 552 6889) so that we can safely return them to the Island. city life Upcoming events at Century City FULL MOON HIKE 21 March at Intaka Island Join us for a guided tour and discover the sights, sounds and smells of Intaka Island at night while the city goes into hibernation. CENTURY CITY PARKRUN Every Saturday at Central Park Join us for a free, timed 5km run/walk at 8am every Saturday on Central Park. Rain or shine, we parkrun! CENTURY CITY BUSKERS FESTIVAL 25–29 March at The Square, Slug & Lettuce, Knife, Bootlegger, Bricklane and Crave Be entertained by the Waterfront Theatre School buskers from 11am to 2pm Monday to Friday at some of Century City’s tastiest restaurants. 31 March, 28 April at Central Park field Held on the last Sunday of the month from September until April (no December market). Relax and sample the delicious fare on sale, while the kids take advantage of the many activities on offer. THE GALILEO OPEN AIR CINEMA 5 April at Central Park The Galileo Open Air Cinema welcomes you to a magical movie experience of cinematic delights, tantalising treats and breathtaking scenery under a canopy of stars. It’s the perfect setting (and excuse) for a memorable evening with friends, a ridiculously romantic date, intimate birthday party or work social.